Eastbourne Camera Club's application to join the Kent County Photographic Association (KCPA) is in difficulty because of a complaint. It is understood an unknown person(s) has objected to the KCPA that Eastbourne Camera Club can be confused with the name of Eastbourne Photographic Society. As a result, Eastbourne Camera Club has been advised by the KCPA that application for membership is unlikely to succeed unless an alternative club name is found without the word "Eastbourne" appearing in it. A few of the Club members recently met in Hastings to take pictures around the beach and fishing huts. It's a fascinating area with much photographic scope. We finished up with the obligatory fish and chips of course. We held the fourth meeting of our exciting new Club on 17th June and this was also the first occasion at our superb new venue, St. John's Parish Hall in Meads. We had lots of work on show and projected and there was a great atmosphere and energy in the room. Thanks to all those who came and hope to see you all again. The third meeting of the new club was held on Monday 3rd June. Thanks to all those attending for your contributions and enthusiasm. Plans to take the Club forward are now well underway and we will report on progress on the 17th June. We now have a fantastic new resource with the Learning Zone on our web site. We are building a selection of videos covering various areas to help you get on from the comfort of your own computer. If there are any subjects you would like covering, just let us know. 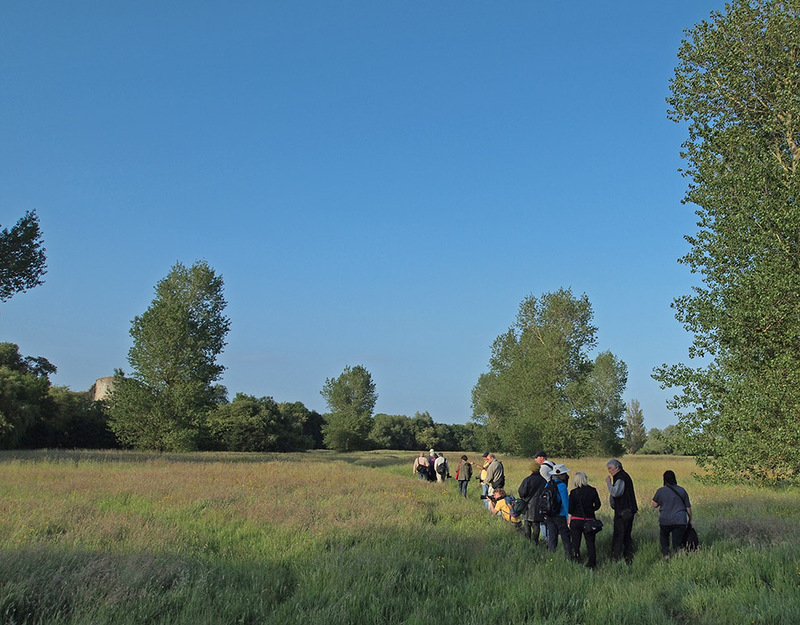 Despite the current challenging and rather unpredictable weather, members enjoyed a wonderful evening walk from Jevington to Folkington along the secret Green Lane. It really was summer that evening. Watch for announcements for our next walk and come along. We are lucky enough to have secured St. John's Parish Hall in Meads for our Monday meetings. This is a superb venue with excellent facilities, including full disabled access, loos and sound loop, cavernous space, extra rooms, full kitchen........we just couldn't ask for more! Click on the link for more details. The Club's key officers were elected at the meeting held on the 13th May. We now have a Chair, a Secretary and a Treasurer. This was an important step in taking the new Club forward and we are all set now for full steam! ECC's Committee members will actively engage with the membership in the decision making process to achieve a friendly, happy and inclusive club.